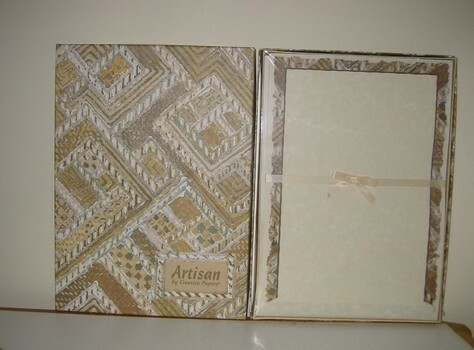 2 boxed letter papers for $8! Each box contains 20 printed sheets, 10 plain sheets, 20 envelopes. Approx. 7 1/4" x 10 1/2". Can be used as invitations, announcements, etc.